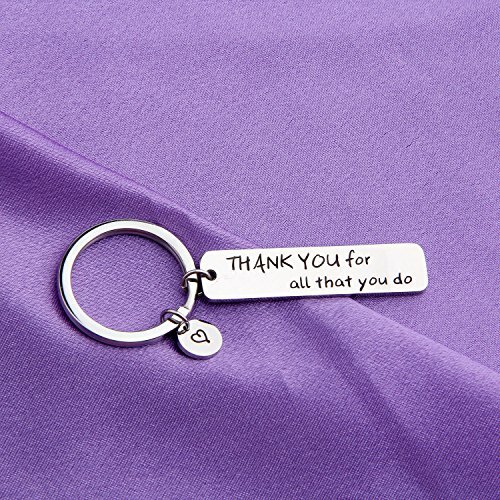 Show your appreciation with this "Thank you" keychain. 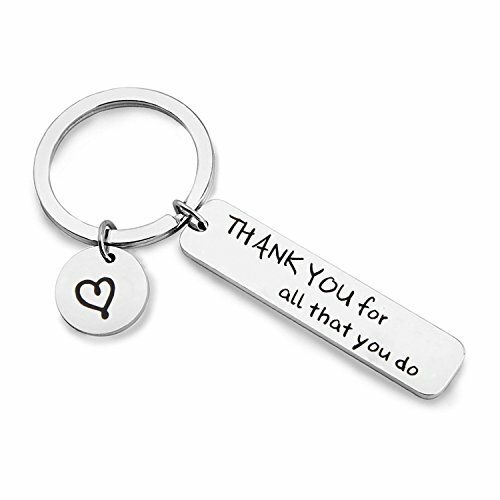 A great gift to recognize employees, or to thank teachers, coaches or volunteers who make a difference! This bracelet is a beautiful way to thank a special person in your life. "Thank you for all that you do" is hand stamped as an inside message on this hammered aluminum cuff. The outside is decorated with a fletched heart design as shown.